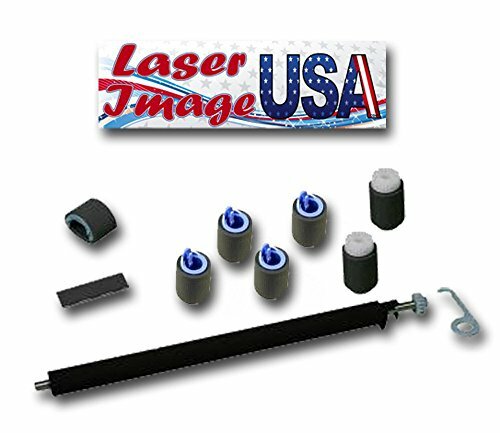 HP 4250 Roller Maintenance Kit Sold with 60 Day Warranty Each 4250 roller Kit Comes With: 1 Transfer Roller RM1-0699 1 Tray 1 Pick Up Roller RL1-0019 1 Tray 1 Separation Pad RL1-0007 4 Pick Up / Feed Rollers RM1-0037 2 Pick Up / Feed Rollers RM1-0036 CONDITION: New MODEL COMPATIBILITY: ANY HP LASERJET 4200, 4200N, 4200DN, 4200TN, 4200DTN, 4200DTNSL, 4250, 4250N, 4250DN, 4250TN, 4250DTN, 4250DTNSL, 4300, 4300N ,4300DN, 4300TN, 4300DTN, 4300DTNSL, 4350N, 4350DN, 4350TN, 4350DTN, 4350DTNSL, 4345MFP, M4345MFP. If you have any questions about this product by Laser Image USA, contact us by completing and submitting the form below. If you are looking for a specif part number, please include it with your message.